The O2 Media Awards for the North West have been expanded to cover three neighbouring counties in their ninth year. Entries have opened for the annual awards, which will now allow publishers and broadcasters working in the bordering counties of Shropshire, Staffordshire and Flintshire to take part. A total of 20 categories will recognise the best journalism in the region, including new awards for Website of the Year, Online Media and Broadcast Team of the Year. And the search for the region’s best photographer has been expanded to include moving pictures in a new Images of the Year category, which is also open to video journalists and broadcast camera operators. The awards, which are also sponsored by Capita this year, remain free to enter and winners will be announced at a ceremony in the autumn. 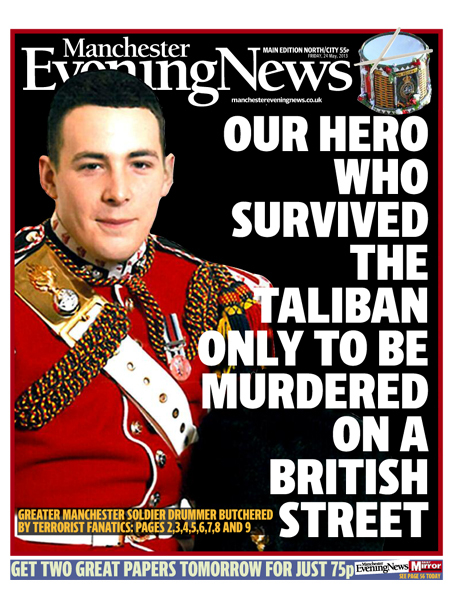 At last year’s awards, the parents of murdered soldier Lee Rigby handed out the News Reporter of the Year award to Neal Kealing from the Manchester Evening News for his coverage of the story. Nicola Green, director of communications and reputation at O2, said the awards continued to celebrate the fantastic work of regional journalists in their communities. She said: “The awards are a memorable part of the local media calendar and the awards presentation evenings never fail to be both uplifting and emotional. The deadline for entries is Thursday 16 July, with work published or broadcast between 17 August 2014 and 30 June 2015 eligible for the individual and team categories. Entry forms are available by contacting Rossiter Media on 01829 741371 or by e-mail request to mediaawards@rossitermedia.co.uk. Been to a few of these, excruciating at times. Always have to listen to some yank director give the same old spiel: “Like you guys, O2 are all about communication and community”. Yeah yeah, where’s the beer. Once again a waste of time! I’ve been to a few and no complaints from me! Free beer, a bite to eat and pat on the back. What’s wrong with that?